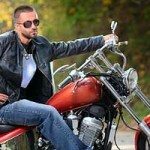 As most of you are aware, we do not charge anything for a Pennsylvania motorcycle accident consultation until we are successful in obtaining a recovery for medical bills, or lost wages, or property damage, or pain and suffering caused by a motorcycle accident. We are paid a small percentage of the total recovery amount, on a contingency basis, upon settlement or winning a lawsuit, which means the more we recover for you, the more we also earn. Just to be clear, we do not charge for mail, making or taking telephone calls, photocopies, faxing, storage fees or many of the other “junk” fees that most other attorneys charge when they distribute your settlement. 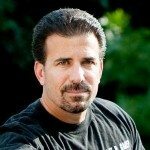 By the way, many of these charges by other motorcycle accident lawyers are inflated and taken out of your share of the motorcycle accident settlement, sometimes leaving you, the client, with the same amount of money than the motorcycle accident attorney got – and you are the one who hired the motorcycle accident attorney in the first place! Call Lee at 888-292-5352 for a no-obligation consultation and explanation of the entire process, including our fees for representing you in your motorcycle accident claim. What Can You Expect from Your Settlement? Sometimes people think we have some kind of magic calculator or chart that will tell us how much your motorcycle accident case is worth. It would be unfair to try and give an ‘average amount’ on my website. Your case may be worth much more or much less than average. I don’t want to dissuade anyone from getting my personal opinion, based on the facts in your accident, on how much their claim may be worth. 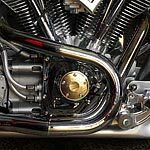 In reality, it is a very complex negotiation of the facts, sometimes disputed, and the extent of the damage to your bike and any possessions on the bike, to your body in the form of current injuries and permanent disabilities. The amount of insurance the other driver carries is a key factor to your settlement amount, as well as how well you have protected yourself with insurance to cover the shortfalls of the other driver. But perhaps the largest variable is how much your injuries will impact the rest of your life. Some settlements get into the six figure range.